More Halloween Caramel Apple Cuteness!! We were walking by Rocky Mountain Chocolate Co. yesterday, and they had some new editions to their Halloween collection. 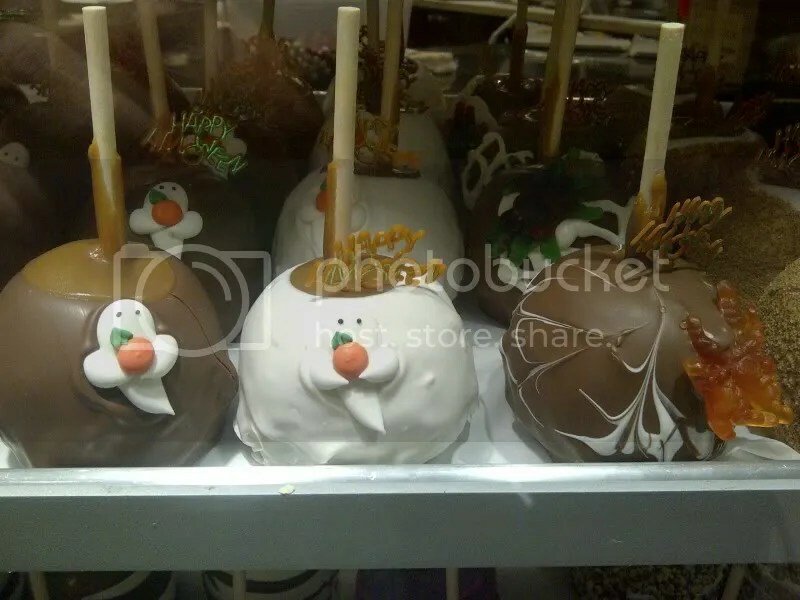 The cutest ghost caramel apples I’ve ever seen!! Such a great idea to use marshmallows along the bottom to show the ripple of the ghosts. Then of course the cute little ghost candies placed on a chocolate caramel apple – gotta love Halloween! !